A visit to Greenland during serene winter nights is an experience like no other, largely due to its excellent location on the aurora belt to catch sight of those famed Northern Lights – it's one of the best in the world. Charming wooden houses lie dusted with snow among rolling silver hills, winding mountain trails offer glorious Arctic hikes among icy canopies, and the vast, untouched wilderness affords a whole host of winter activities, from snowshoeing to skiing. In Greenland, dogs outnumber people, and it's rewarded with massive expanses of untouched land, explored with cross-country skiing, snowmobiling, snowshoeing and of course, dogsledding. Greenland’s vast icy expanses and clear, dark skies with virtually no light pollution go hand in hand with the emerging of the revered ballet that is the Northern Lights. Catch them with sails through dark fjords, and due to Greenland's often overlooked landscapes, you're likely to be met with fewer tourists. Ilulissat lies at the centre of the aurora belt, making for excellent chances to spot the dazzling lightshow alongside charming stays in aluminium igloos, allowing for wonderful polar exploration with wintery hikes and iceberg cruises spotting whales, walrus, seals, and polar bears. 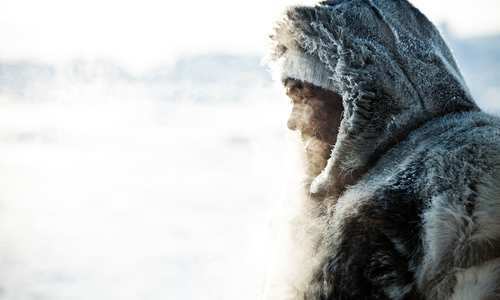 Cross-country ski across snowy fjords, ski tour among Greenland’s expansive back country, and even meet the Inuit people in south Greenlandic towns. 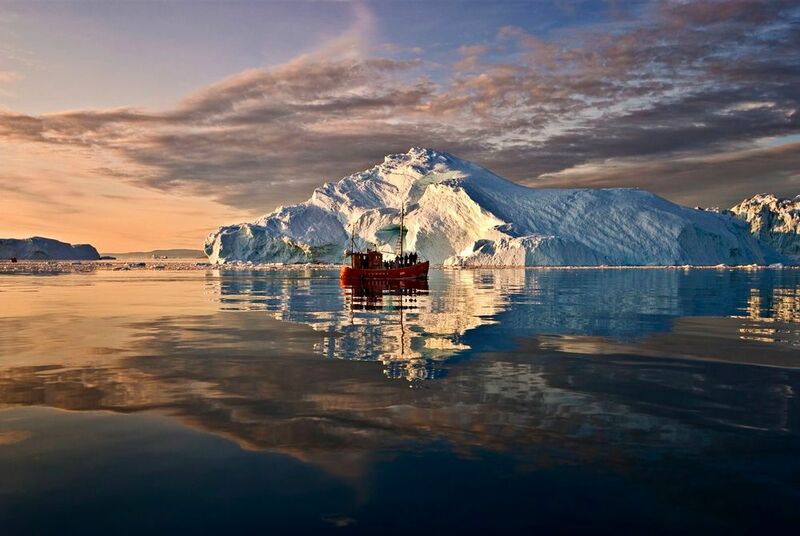 But it's icebergs that are Greenland's crowning glory, frequently calving from glaciers in a magnificent show of nature. Witness this surreal phenomenon with boat cruises or relax in glacier-surrounded hot springs as you watch the behemoth icebergs crashing into the sea. 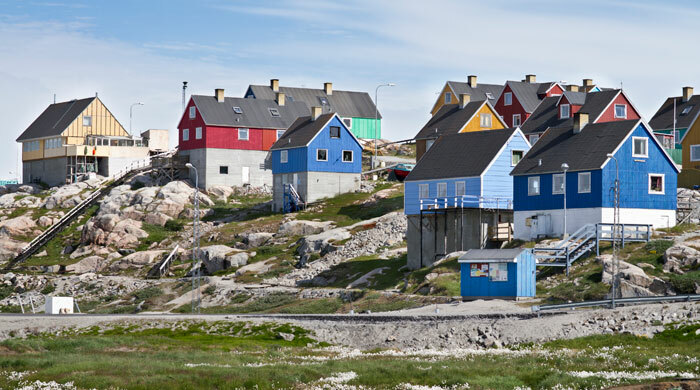 The town of Ilulissat offers every activity to make the most of this time of year. It's situated in the middle of the aurora zone, and in winter, there's hours of night skies illuminated with the surreal spectacle. It's also home to a UNESCO World Heritage Site-listed ice fjord and the Northern Hemisphere's most productive glacier, with house-sized bergs calving off the glacier and lying dotted around Disko Bay, a spectacular backdrop for sailing trips. From here head to the quintessential Greenlandic towns of Qaqortoq and Narsarsuaq, where snow-dusted banks are framed by surrounding steely peaks. Qaqortoq’s historic, colonial buildings and thriving cultural scene impress with no fewer than 40 sculptures, with the archaeological site of Iluksi being home to ancient Norse ruins, lying alongside sheep farms and mountain trails. Head to intensely scenic Lake Tasersuaq, shared only with the peaks of snow-topped jagged mountains. Neighbouring Narsarsuaq is wonderfully taken in via helicopter flight; an Arctic landscape of a myriad of icy blue glaciers jutting from remote fjords. It's also home to a former US airbase, backdropped by rising stone peaks and fronted by more ice floes. The ice cap, the world's second largest, is Narsarsuaq's most magnificent feature, reached with picturesque mountain hikes. Cruise out among the fjord's icebergs to arrive at Qoroq and its homonymous fjord, watching as the grandiose chunks of ice calve off into the chilly waters below with an almighty crash. It's also home to magnificent Viking ruins, with boat rides bringing you to village cathedral ruins and the farm of Erik the Red – Greenland's 10th-century settler.